Now protect your GPS with this invisible shield. 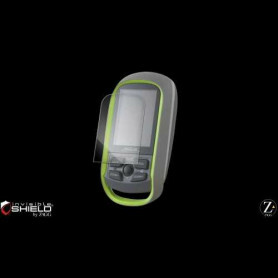 ZAGG's invisibleSHIELD™ is created from an ultra-tough, patented film that is exclusive to ZAGG for covering consumer electronics. Transparent and amazingly thin, the invisibleSHIELD is designed to precisely match the contours of every device, providing unbeatable scratch protection. ZAGG Invisible shield screen protection There is 1 product.